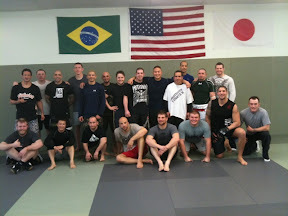 Here we are at the dojo after the guys trained. I sat out and helped coach since I've trained for 8 days in a row with no days off. The guys that have fights on Sunday's UFC looked sharp.